Collect and showcase reviews with pictures, an awesome approach to visual marketing. Customers want to see what products look like outside of the product images. They want to see what products look like in real life. 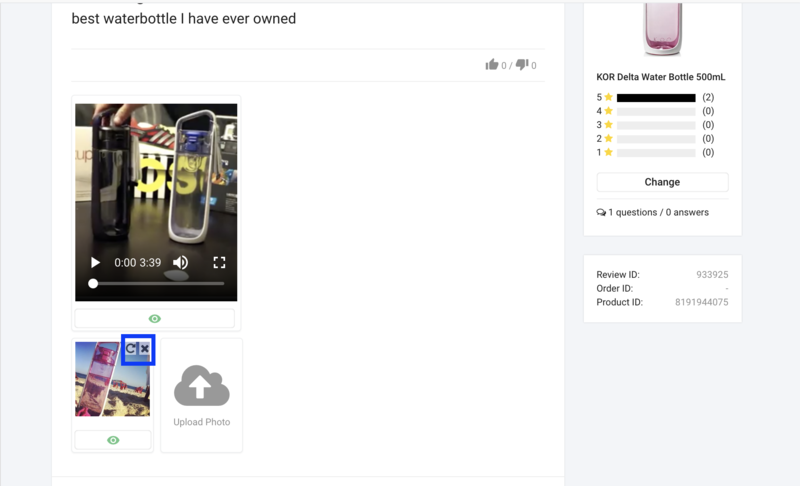 For this reason, photos of your products in use, submitted by your customers, are an awesome way for customers to really get a feel for what your products look like. In the dashboard you can easily moderate the photo review submission, with publish/unpublish and rotating the photo's orientation with the button in the top-right corner of the photo when mousing over it.